The Topcon LS-80 Detectors allow a single crew member to quickly and accurately finish any job — from sub-base levelling to concrete finishing. Two way communication for height alert and laser battery status. 5 levels of LCD display precision. 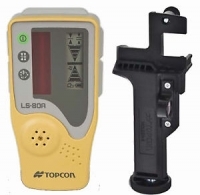 The LS-80A Detector is to be used in conjunction with the Topcon Red Beam lasers. 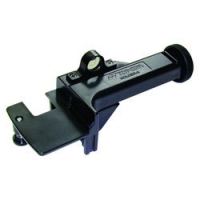 Detectors can be purchased with or without the Detector Clamp.